Do you ever get tired of your job as a mom? Do you every feel under appreciated and definitely under paid? Ask yourself, why is it then, that you spend so much time being dis-satisfied with what He has called us to do and to be. For many of you out there, you have dreamed about being a mom. And now that you are, you dream about having peace and quiet and getting away from your kids. It’s funny how when you get what you ask for, you still are not content in the good work that God has called you to. Know that you have a calling to live a life worthy of the Lord. You are called to please Him in every way. One of the ways that you will please Him is in bearing fruit in every good work as you increase in your knowledge of God. 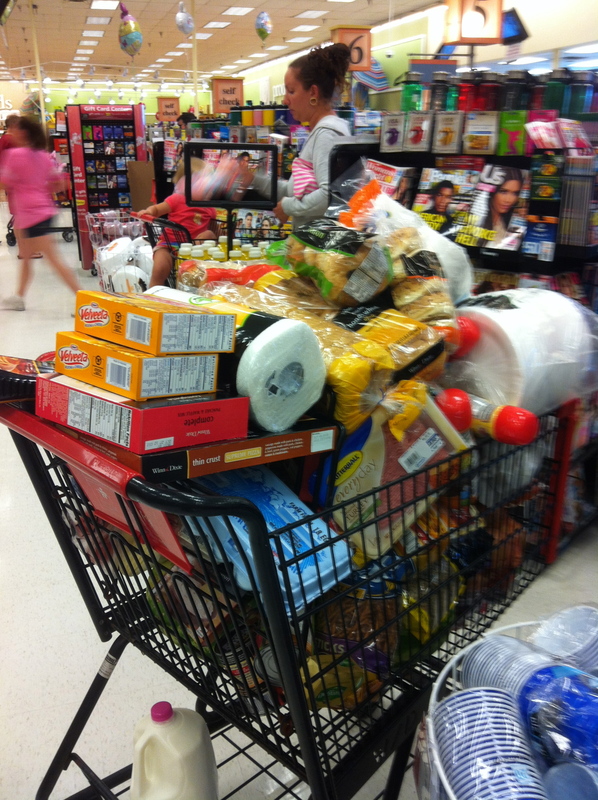 Do you like the picture of my shopping cart? What is your least favorite “job” as a mom? (Mine is grocery shopping) . How can you be content and focused while serving your family in the mundane?